What Is Vena Contracta? How Vena Contracta Formed In Fluid Flow? The term vena contracta is used in the design of flow-meters like nozzle, orifices, and mouthpieces. 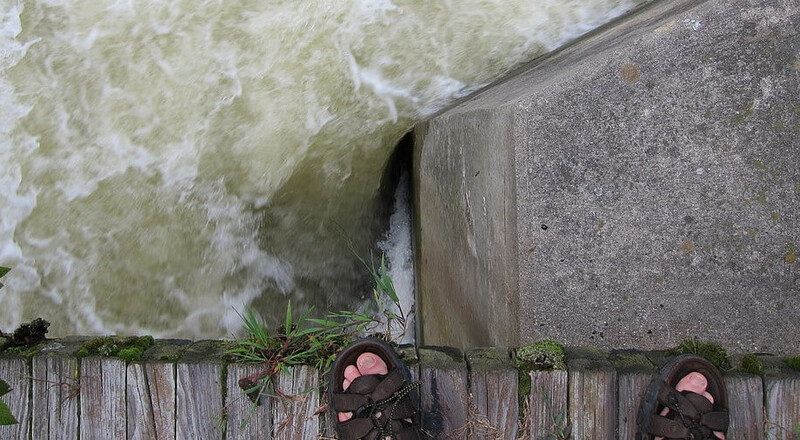 It is the section in fluid stream were cross-section of stream became minimum. At vena contracta, velocity of fluid is maximum and the pressure of fluid is minimum (according to the principle of conservation of energy and Bernoulli’s equation). In orifice meter, the maximum contraction takes place at a section slightly down stream of the flow, at that section the flow is more or less horizontal (laminar flow). Let h is the pressure head drop across the orifice, then the velocity of fluid particle at vena-contracta is equal to the velocity of particle free falling through a height h.
Velocity V= √(2gh), where g is acceleration due to gravity. 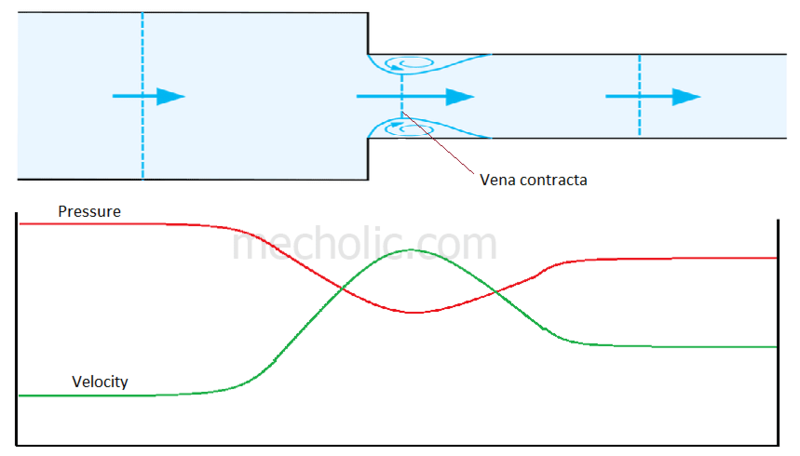 How vena contracta formed in fluid flow? The reason for the phenomenon vena contracta is that the fluid streamline cannot abruptly change direction, streamlines are unable to closely follow the sharp angles in orifice, nozzle, and pipe. When fluid passes through the orifice, the gradual contraction of fluid takes place. The fluid stream begins to converge and pass through the orifice. The streamline continues to converging in smooth path even after it passes the orifice. Fluid converges to the minimum cross section in downstream of flow then it diverges again. This minimum cross section is known as vena contracta. Figure shows a river forced to narrow down by the restriction placed in flow. The flow separation is clearly evident at sharp edges just above the vena contracta.